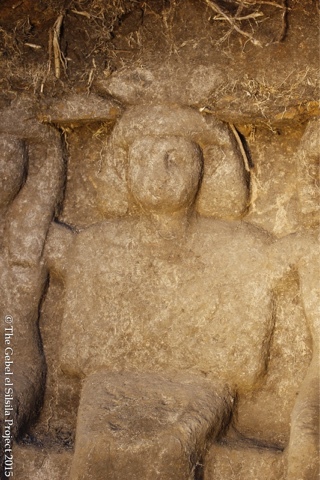 Statues are all dated to New Kingdom, two of them are in shrine No. 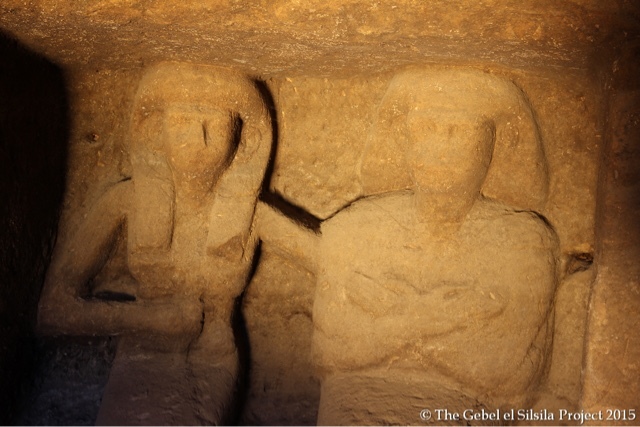 30 and they represent the shrine owner in Osirian position with his arms crossed on his chest and wearing a shoulder length wig, sitting next to his wife who puts her left arm on her husband' shoulder while her right arm on her chest. 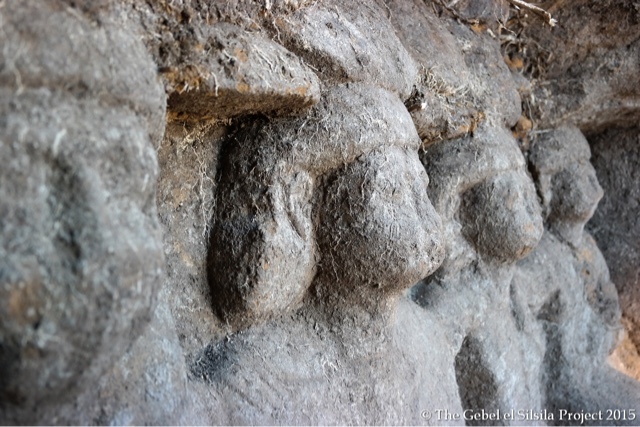 The other 4 statues were found in shrine No. 31. 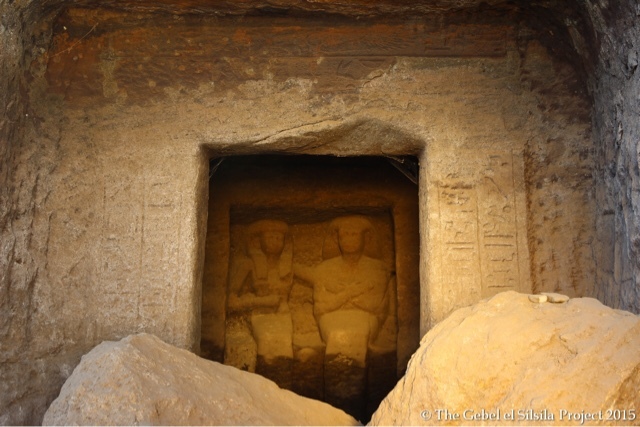 The statues are of the shrine owner "Neferkhewe" who held he title of "overseer of the foreign lands" during the time of Thutmosis III and his family. 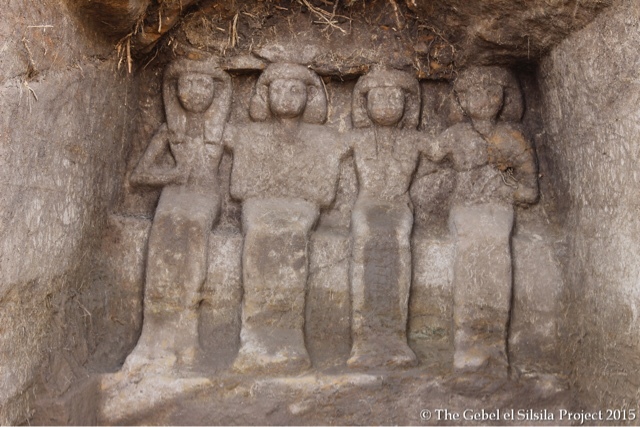 The four figures of "Neferkhewe", his wife, daughter and son show them all seated next to each other.